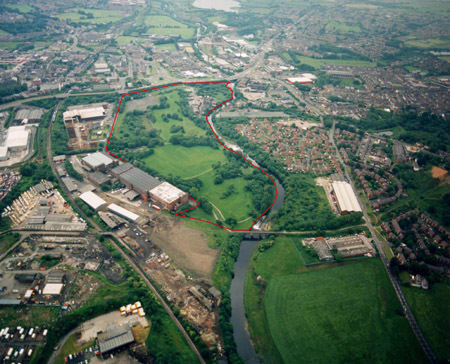 URBED developed a masterplan for Bury Ground, the largest development opportunity in central Bury, a project led by King Sturge for Bury Metropolitan Borough Council. The site had been identified as a strategic employment opportunity with the masterplan forming the basis for planning policy, enabling works and for the marketing of the site. However, despite being in the heart of the town Bury Ground is cut off from the town centre and surrounding neighbourhoods by the River Irwell, the railway line and the ring road and is therefore not well used as an open space. It had been landscaped in the 1970s but otherwise remained sparsely developed. This created an opportunity for an attractive business location capable of competing with the attractions of other planned business locations and yet linked directly into the town centre. URBED has designed a high-dense urban business park, which provides footprints & units based on the urban block grid for office, leisure and some residential uses but which also respects the ecology of the site. Mature trees and the existing pond have become features of the development. 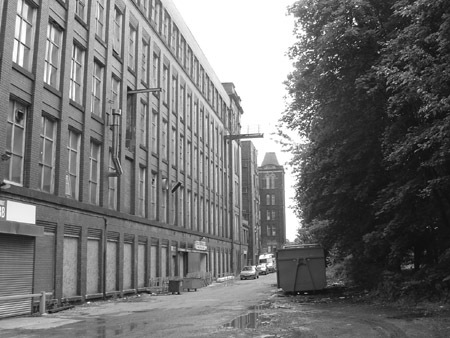 An urban park was also created along the impressive Peel Mill, which sits just outside the site boundary.